Native Elements is the category of the pure. 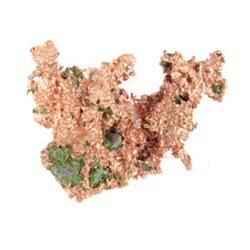 Most minerals are made up of combinations of chemical elements. 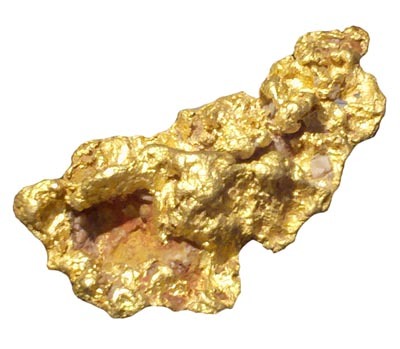 In this group a single element like the copper shown here on the right or the gold nugget below are found in a naturally pure form. It is often the metals seen in this category but semimetals like bismuth, arsenic, and antimony are also in the ranks as are nonmetals like sulfur and carbon (as graphite and diamond). Some elements are plentiful like iron, lead, and graphite. Other elements are rare like gold, silver, and platinum. Rare or abundant we have found uses for most of the native elements.